Former FBI informant Brandon Darby says the Occupy Wall Street movement "is nothing less than a current manifestation of an international revolutionary push in which I myself used to play a significant role." 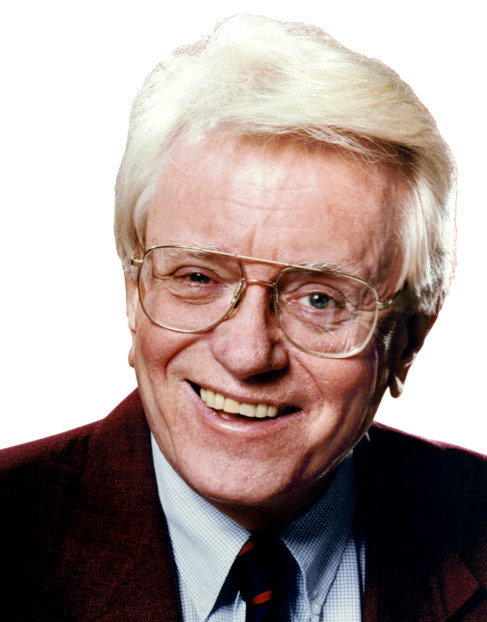 Darby is slated to detail the real story behind the "Occupy" movement at a Thursday briefing at the National Press Club. The gathering is sponsored by America's Survival, Inc., which has held a series of such informative sessions aimed at keeping track of all manner of subversion — in other words, doing the work that Congress should be doing. Congress used to have committees that kept track of traitors in our midst, but post-Watergate Congresses put a stop to that because too many such investigations led to the doors of prominent leftists who favored a major party. Many of them were Fifth Amendment pleaders who refused to answer queries as to allegations of their Communist Party membership. That of course, would be the Democrat Party which — not incidentally — also created the Ku Klux Klan, and today attempts to cover its tracks by trying to hang that albatross around the necks of anyone it doesn't like. None of the above is intended to absolve those Republicans who deal with these uncomfortable truths by silence or avoidance. There is a reason the Occupy Wall Street movement and its satellite or "loosely affiliated" groups in other cities have drawn the backing of veteran America-haters, including the Communist Party USA and the American Nazi Party. 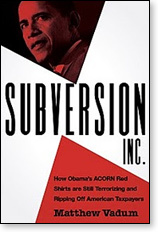 Matthew Vadum, author of Subversion, Inc., has thoroughly exposed ACORN — a major power in the Occupy movement — as "Obama's Red Shirts," who are "terrorizing and ripping off American taxpayers." In over 400 pages — nearly 50 of which are taken up with documents and footnotes — the author, a senior editor at the Capital Research Center — traces ACORN's organization in large part to the strategic "seize power" roadmap drawn up by the revolutionary Saul Alinsky, who includes as one of his organizing heroes — Lucifer, "the very first radical." Alinsky admired Lucifer's public relations savvy in that he rebelled so effectively against the establishment of his time "that he at least won his own kingdom." Alinsky quipped that "[T]hey'll send me to hell and I'll organize it." "The principles he [Alinsky] taught so thoroughly permeate ACORN to its core." Vadum writes "that ACORN operatives refer to the Alinsky rules when planning attacks, sometimes by number." Among Alinsky's "rules" is one that says that in seizing power, the ends justify the means. All of this gives you a sketch of the mindset behind Occupy Wall Street and its carbon copies now at (or coming to) a city near you. Commenting more recently, Vadum and others have pinpointed Occupy Wall Street as led by New York's Working Families Party (an ACORN front), SEIU, and street gang thugs from "neo-communist organizations." Included among the latter is the National People's Action and Democratic Socialists of America. The noisy in-your-face protest is a common tactic going back to the sixties — a hateful era the communists, socialists, and Nazis appear hell-bent on reviving to provoke violence. Actual violence so far has been sporadic, as per a little hell-raising a couple of weeks back at the Marriott Metro Center here in Washington. Organizers originally called the mass protest "Days of Rage," a label originally attached to a series communist/socialist riots in Chicago, a reprise of the riots there at the 1968 Democratic National Convention. But apparently, the decision was made to give the contemporary uprising an original name. One protester (apparently from India) at a Los Angeles gathering endorsed the guillotines of the French Revolution, adding "The bourgeoisie won't go without violent means. Revolution!" Pro-violence academic Frances Fox Piven, in a fashion commensurate with one leading the lemmings, mouthed Marxist slogans, pausing every few seconds to allow the mob to repeat her words. Earlier this month, leftist moneybags George Soros held a news conference at the United Nations and endorsed the Occupy Communists, socialists, eco-feminists, professional protesters, and other revolutionaries. Why shouldn't he? They are the shock troops for those who want to bring down America. They provide strong-arm tactics. Soros (whose activities will be spotlighted at Thursday's conference referenced above) supplies the financing for America's decline. The protests are exactly the kind of "anti-banking jihad" that ACORN's neo-communist founder Wade Rathke has advocated. New York Communities for Change (NYCC), another ACORN front, is among the front groups aiming for a socialist America. Its leader, longtime ACORN enforcer Jon Kest, wails about how "the big banks tanked our economy." Ironic when one considers that ACORN played a big role in creating the "housing bubble." ACORN in fact took the lead in pressuring Congress to enact legislation easing the way to apply political heat on the big banks (Vadum uses the term "blackmail" here) to lend money to people who obviously would not be financially able to pay it back. Tea Party of the left? Liberal commentators have tried to sell their readers on the idea that Occupy is a "tea party of the left." That's funny. The Tea Party wants to preserve the system and work within it, and they provided some political spine to the Republicans in the 2010 elections. Occupy, on the other hand, hates the system and wants to tear it down. Some ridicule this movement — dismissing it as a fleeting phenomenon. Jumping to that kind of conclusion is premature. These people have money behind them. Arguably — whatever they say — they are providing left-wing cover for Barack Obama, whose agenda has been heading in their political direction from Day 1. Again, back to Vadum's book and a section headed "The Democracy Alliance: ACORN's Fat Cat Friends." The author exposes "a collection of socialist venture capitalists that funds ACORN and other left-wing groups that want to smash the American system." The leftist blogosphere approvingly calls it "a vast Left Wing Conspiracy to rival" the conservative movement. The book names names. Soros is there, but so are more than 100 others — people and institutions with money to burn. So you are not paranoid if you stop and ask yourself if this is the well-funded communist revolution at our doorstep. Stay tuned.